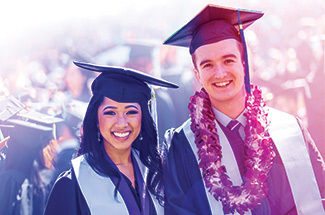 It may seem like only yesterday that they came to campus as new students, but it’s true: you will soon be the proud parent of a graduate of the University of Washington. Congratulations! 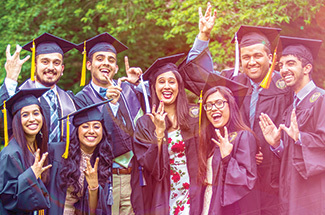 Students are on campus for a few short years, but alumni are Huskies for life. No matter where life takes them after graduation, help your grad continue to benefit from being a part of the UW community with the gift of a UWAA membership. Be CONNECTED. With partnerships across campus — including the UW Career & Internship Center — the UWAA keeps alumni in the know about career growth opportunities and resources. Be INFORMED. UWAA members receive borrowing privileges at UW Libraries, online access to EBSCO Academic Search Alumni Edition journals and discounts for professional trainings. Be GOLD. Your grads will also join a special cohort: GOLD (Graduates of the Last Decade) alumni. GOLD alumni enjoy perks and events designed just for them, including casual mixers and career workshops. The UWAA is a community of more than 56,000 Huskies who have chosen to stay connected to the UW and each other. Give your grad a gift that will help take them into the future with UWAA membership! 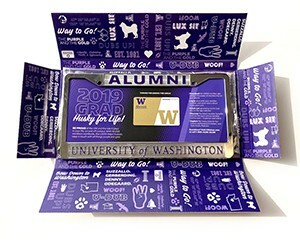 There’s more — from early access to campus lectures to discounts on Husky gear and swag, UWAA member benefits are carefully selected to help members make the most of their UW connection. Now is the best time to join the UWAA. UWAA life membership is just $500 for new grads; one year after graduation, the rate rises to $750. Join now and get this box of swag, including a UW alumni license plate frame and more!